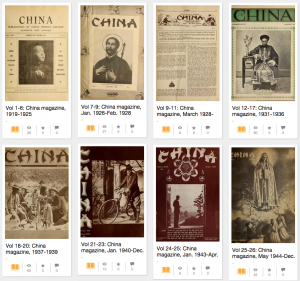 With the help of the Internet Archive digital library, all Scarboro Missions magazines, formerly called China magazine, from the inaugural issue of November 1919 through to 2008, are available online in a user-friendly format. With this addition, there is now free public access to the 100-year history of this Canadian Catholic missionary Society. This resource provides a window into the Canadian Church’s prophetic response to the times and a changing world. You will also hear the voices of the Asian, Latin American, African, and Caribbean churches. These stories of encounter, service, transformation, and gratitude will inspire and teach for years to come.